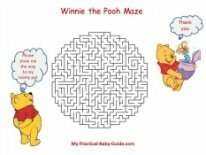 If the expected mom is eco-concious you may choose to plan an eco friendly baby shower. 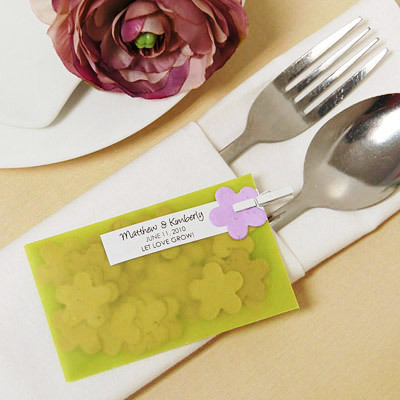 These favors are perfect for this theme. 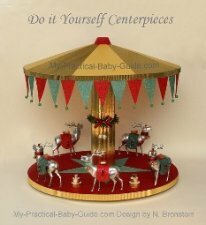 They are easy to assemble and inexpensive too. 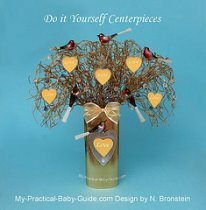 How to Assemble a Plantable Flower Seed Favor for an Eco Friendly Baby Shower? 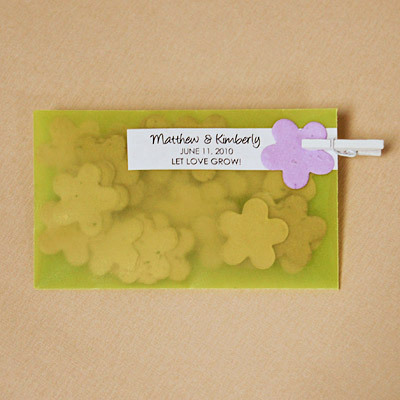 Step 1 Fill envelopes with flower confetti. 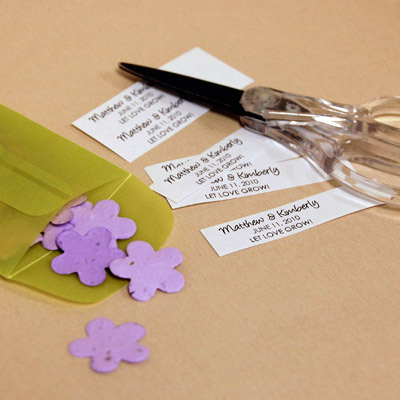 Step 2 Cut personalized notes. 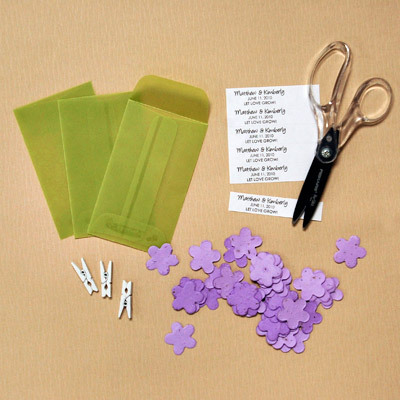 Step 4 Use clothespin to fasten note and one flower confetti to the envelope. 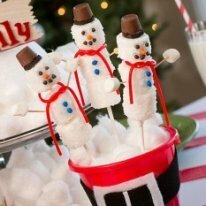 Decorate your welcome table with these adorable favors. You can pick any color for the envelopes. 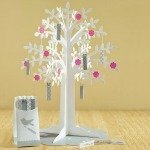 Attach place cards to each envelope with the mini wooden clothespins for a clever way to display place cards. 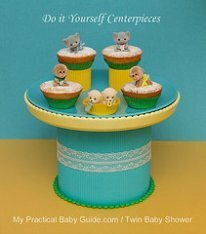 You can adapt this idea to a spring baby shower too.